ILINA SEN loves Chhattisgarh, thus it is with great empathy to the challenges faced by its inhabitants that she recounts 30 years of living and working in the region with her husband, paediatrician Binayak Sen, in her new thought provoking book Inside Chhattisgarh-A Political Memoir. The story captures the social and environmental transformations that the region went through, first as a far off corner of Madhya Pradesh and then as a new state. The first person narrative makes for an engaging read, full of anecdotes and asides. Faithful to her scholarly background, Ilina has carefully placed events and people in context. And her interest in local history and folklore adds to the narrative and reveals the culture that is at stake as Chhattisgarh is taken over by industries. This four-part memoir begins with a personal account of the arrest, trial and conviction to life imprisonment of Binayak for alleged sedition and collaboration with the Maoists. With a keen eye for the absurd, the author describes how the police, during the house search, carefully analysed her daughter’s algebra notebooks. During the trial, the prosecution submitted as evidence daaknams (pet names in Bengali) interpreted as Maoist code names. Beyond the court proceedings was “the vicious propaganda war over Binayak’s trial and conviction (which) made (Ilina) wonder several times about what had changed in the state”. 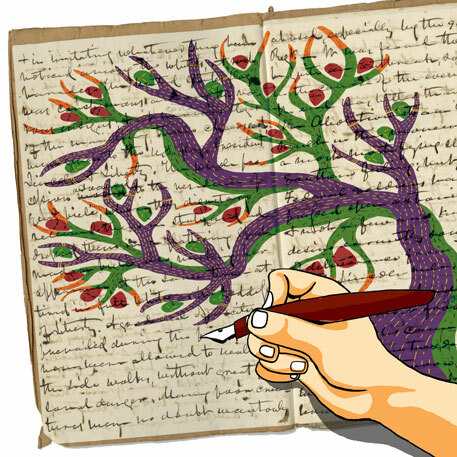 A desire to capture that change by relating the story of their work in the region is one of the threads that binds the memoir together. In 1981, the couple moved to Dalli-Rajhara, a mining settlement attached to Chhattisgarh’s Bhilai Steel plant (BSP), which is famous for its labour movement. Under the guidance of social activist Shankar Guha Niyogi, the mine workers who were on contract at the plant had set up their own trade union, the Chhattisgarh Mines Shramik Sangathan (CMSS), to fight for their rights. In due time, Niyogi included the tribal community in the struggle. The CMSS notably lobbied for the construction of a hospital in Dalli-Rajhara for the workers and local people, who were initially not given access to BSP health facilities. Doctors Binayak Sen, Ashish Kundu and Saibal Jana were instrumental in setting up the Shaheed Hospital. With little resources, the doctors decided to train local volunteers to run the hospital. Ilina describes how the mine workers and their family stopped working one whole day to cast the roof of the new hospital building, which is now a source of pride for the community. She also highlights how women from the state were an integral part of CMSS, though she notes that no woman reached leadership position. Furthermore, women participation reduced in CMSS as the situation of the people improved. In 1994, the couple set up their own organisation, Rupantar, to work with tribal communities in maanggaons or villages demanded by the people in forests south of Raipur. These were unauthorised villages set up by the people in the late 1940s after dams on the Mahanadi river submerged their villages. They “did not exist in the official records, and even in the 1990s, lacked schools, health services, electricity and hand pumps for portable drinking water”. Rupantar grew organically with the needs and demands of the maanggaons, and expanded its field of action always in collaboration with the tribal people. Malaria was endemic in the area; this was in part due to the delay in diagnosis as blood samples had to be sent far away for analysis. Binayak set up a microscope in the health centre with one lab technician who could read the samples and trained all the health workers in taking blood samples. This significantly reduced cases of malaria in the area. 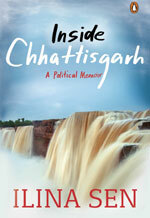 The last part of the memoir talks about the creation of the state of Chhattisgarh, its challenges and contradictions. In the beginning Binayak and Ilina were invited by the new state to draft studies and participate in setting up social programmes such as Mitanin, inspired by their community health workers. Mitanin became a model for the Centre’s Accredited Social Health Activist (ASHA) programmes. They however became aware of discrepancies in the way these programmes were being set up, and it became evident that criticism from local stakeholders was not welcome in a state committed to industrial development. Going back to her question about what had changed in the state, Ilina makes an interesting analysis of the rhetoric that surrounded the creation of the state and its actions thereafter. She brings to light the top to bottom approach to development, which consistently ignores local stakeholders. She also critically analyses the way the state divided up the land between various industrial corporations disregarding local claims to the land. Saffronisation of the state happened after the Bharatiya Janata Party won the 2003 state elections which further threatened the local culture. These contradictions which could be read as warning signs leading to Binayak’s arrest, culminated in Salwa Judum, the tribal youths armed by the state to “resist” Maoists operating in the economically backward but mineral-rich district of Bastar. This IS an autobiography in which personal reminiscences serve as a vehicle for voicing concern for the underprivileged. It draws attention to "orphan crops" and "hidden hunger". 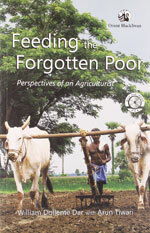 Noting that more than one billion of the world's seven billion people go hungry or are malnourished, the book critically examines the political, economic and environmental issues to which contemporary agriculture is closely tied-tariffs and farm subsidies, water pollution, biofuels, the prospects and problems of genetically modified organisms, the growing backlash against mechanised agriculture and increasing support for sustainable practices. Envisioning the scenario in 2050, when the global population is projected to cross the nine million mark, William Dollente Dar draws the conclusion that viable solutions are not just about technology and science-they require a change in mindset, sound policy and adroit handling of institutions. How DID the idea of openness become the defining principle for the 21st century Information Age? This book answers this question by looking at the history of information networks and paying close attention to the politics of standardisation. 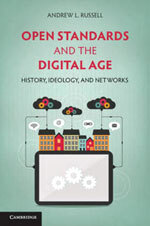 It attempts to provide the first history of American communication and information technology to focus on standardisation, with a clear description of where standards come from and how they are a central element of American political economy and global business.